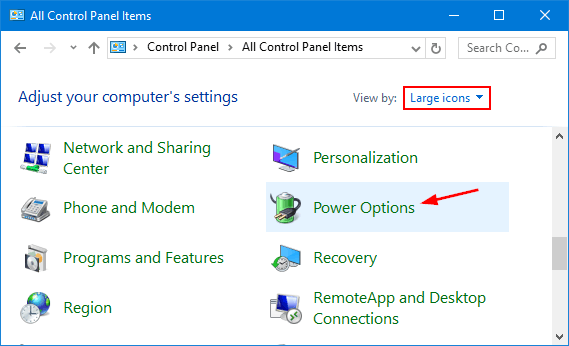 How to change what power button does in Windows 10? Every desktop/laptop computer has a hardware power button without any exception whatsoever. By default, pressing the power button will put your computer to shut down, but in Windows 10/8 it just puts your PC into sleep. To shut down a computer running Windows 10/8, you might have to press the power button for long duration. This tutorial shows you a simple way to change the default action of the hardware power button so that when it is pressed, Windows will go into sleep, hibernate, shut down, or even do nothing. 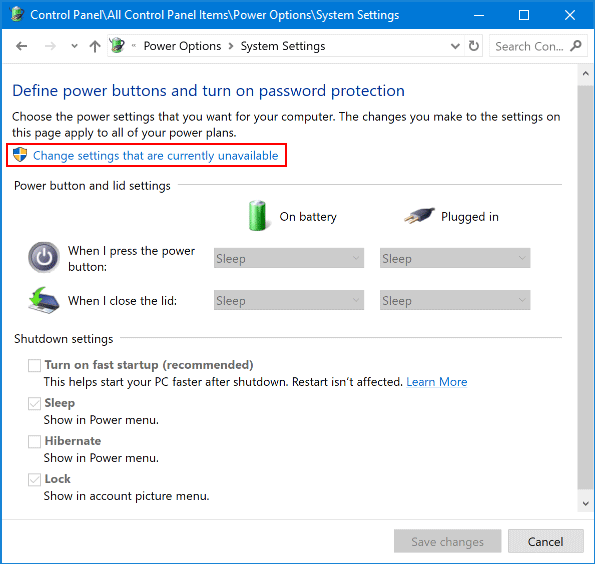 How to Change Power Button Action in Windows 10 / 8 / 7? Open the Control Panel in Large icons view, and then click Power Options. From the Power Options window, click the Choose what the power button does link from the left pane. Click on the Change settings that are currently unavailable link. You should see two drop-down menus to configure the default action when you press the power button. One is for when the laptop’s running on battery power, the other for when it’s plugged in. Select the action you want (Do nothing, Sleep, Hibernate, Shut down or Turn off the display), and click Save changes. This change will take effect immediately. Press the hardware power button and it should now function as you expect. That’s it!